Given that Man of Steel is a film based on a comic book and directed by Zack Snyder (a guy who loves his visuals), it’s not surprising that the latest Superman film is filled with striking images. 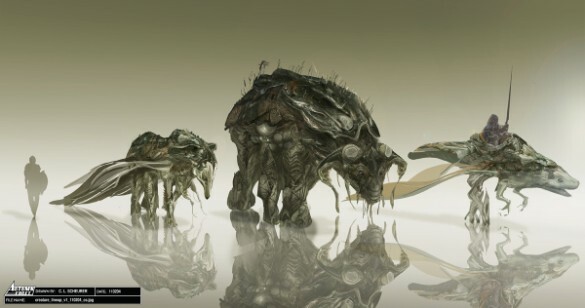 And naturally, even as striking as some of those visuals are, there were even cooler looking things created in the film’s concept art. 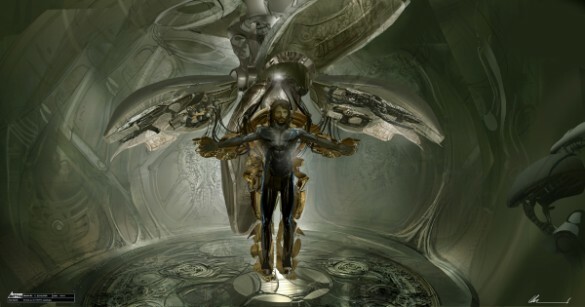 Artist Christian Lorenz Scheurer has posted a plethora of really sweet pieces highlighting his designs for Man of Steel. The work is amazingly detailed and covers all sorts of material – from early takes on the council chamber to the battle waged around it, to various Kryptonian creatures and the Kansas farm Superman would eventually call home. If a picture is worth a thousand words, these pieces pretty much speak for themselves. 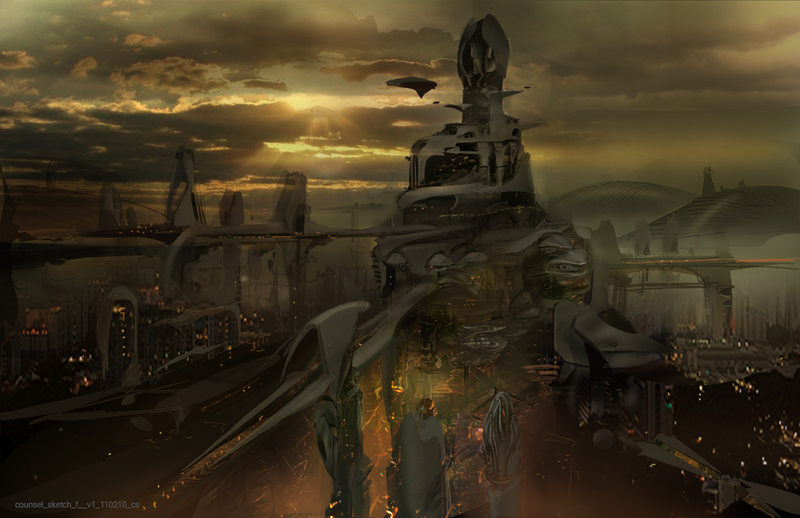 Have a look at a few of our favorites below, then head to Scheurer’s website for even more of the early concept art from the film. 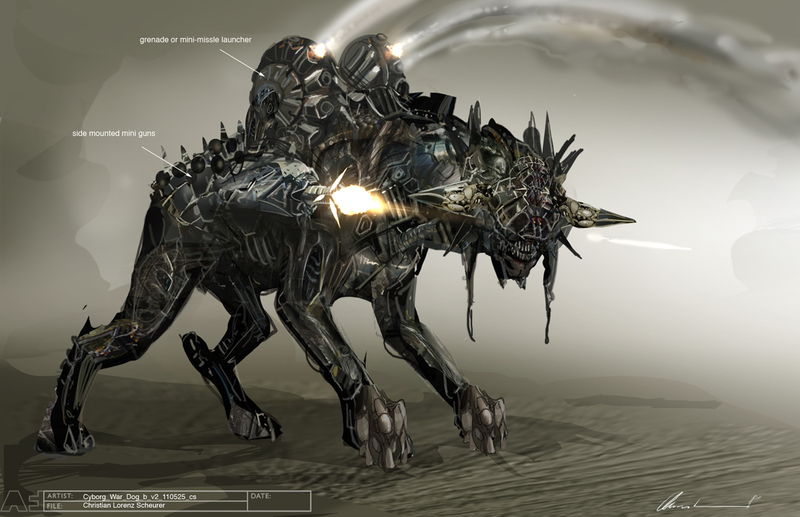 We'll begin with our favorite piece of art, which shows off something called the Cyborg War Dog -- a character we don't remember seeing in any of the Krypton scenes. Someone tell Zack Snyder to stick this monster in the sequel!